After a highly satisfactory international break for Portuguese football, the focus turns again to the domestic game tomorrow night as lower-league Vianense host Benfica in the 3rd round of the Portuguese Cup. Other upsets are possibly on the cards, the FPF having introduced a new format this season whereby all top-flight clubs are drawn away at this stage of the competition (full draw here). 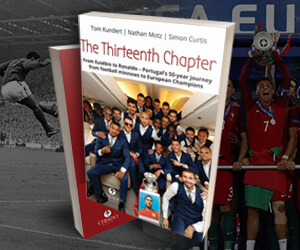 The perfect time, therefore, to revisit Ben Shave’s brilliant article charting five great upsets in the rich history of the Portuguese Cup. Much has been written across Europe in recent times concerning the decline of national cup competitions, but from a personal perspective, there is little to compete with the 3rd round of the Taça. The weekend conjures up a quixotic clash of cultures: historic clubs with broken-down stadiums, against the slick, modern outfits arriving from Lisbon and Porto. The entry point of the traditionally dominant protagonists has oscillated down the years between the quarter-finals and 3rd round, where it currently sits. Between them, Benfica (25), Porto (16) and Sporting (16) have accounted for fifty-seven of the seventy-five titles, but every now and then, there have been shocks - the essential ingredient of every cup competition worth the name. Below, are five of the best. Apologies in advance for the absence of scorers in some entries; they have been lost to time. But I’d say fourth from left looks like he knows where the goal is. Defences weren’t the best in those days, an assertion evidenced by the results sheet from the opening round of the second Taça. Top of the pile was a 22-4 aggregate evisceration of a hapless Leixões by Porto, closely followed by a 15-0 drubbing for Farense at the hands of Sporting. Put simply, competitive balance was in lamentably short supply. Except, that is, in the tie contested by Boavista and Académica. The first leg went to script, with the Briosa, who had won the inaugural Taça in Lisbon the previous season, handing their opponents a 5-1 hiding in Porto. However, Boavista, who were at the time scratching around the regional leagues travelled to Coimbra with more than sightseeing on their mind. Inspired by centre-forward Julinho - who would go on to score over 100 goals for Benfica - Os Axedrezados defeated their illustrious opponents 5-0. Away victories are rare enough in early stages of the Taça even today, but with professionalism a distant dream, this was nothing less than a seismic reverse. It didn’t turn out to be much of a fillip for the winning side though: they were dumped out in the next round by Porto (13-0 on aggregate, in case you were wondering). The five men pictured above - Jesus Correia, Vasques, Fernando Peyroteo, José Travassos, and Albano - arguably did more to shape the identity of Sporting than any others, with the possible exception of the club’s founder José de Alvalade. Os Cinco Violinos were certainly among the finest collection of attacking players that Portugal has ever produced, if not the finest. Their run of success was unprecedented: between 1946/47 and 1953/54, Sporting won seven of the eight national championships contested (only Benfica had the temerity to break the chain, in 1949/50). The Five Violins were the beating heart of an unforgettable side, putting all comers to the sword with their ruthlessly flowing, effervescent style of play. They were, for a time, almost unbeatable. But, in 1948, Tirsense beat them. The modest side from greater Porto have spent the majority of their 74-year history in the comparative anonymity of the regional and district competitions, but in 1948, they shocked Portugal with a 2-1 victory over Cândido Oliveira and co. in the opening round of the Taça. The catalyst was a man who himself stands amongst Os Cinco Violinos in the annals of Portuguese footballing legend: Artur de Sousa, better known as Pinga. A native of Funchal who made his name with Marítimo, Pinga was the greatest forward in the pre-war history of FC Porto, scoring over 300 goals in sixteen seasons at the club. His career was brought to an end by a botched meniscus operation in 1946, and though he spent the majority of his retirement as a coach at Porto (he died whilst in charge of the youth teams in 1963), his exploit(s) with Tirsense are undoubtedly a central part of his legacy. The narrative of oppression from the south played a key role in the formation of a distinct socio-political identity in northern Portugal, and Tirsense’s victory is easily placed within that framework. But more than that, it’s the greatest upset in the history of the Taça de Portugal. If Pinga loomed large over the early years of Porto, it was a man who idolised him as a child who, along with current President and then director Jorge Nuno Pinto da Costa, laid the foundations for the club’s current success. José Maria Carvalho Pedroto: he of the flat cap, thick glasses and ever-present cigarette, was Portugal’s first great coach of the modern era, a man whose mannerisms, presence and iron will to win can clearly be seen in one of his successors at the Antas, José Mourinho. Pedroto is best remembered for bringing Porto their first national championship for two decades in 1977/78, but in the summer of 1980 he, along with Pinto da Costa and fifteen members of the squad, revolted against the administration of President Américo de Sá. The episode, known as ‘O Verão quente’ saw both men leave the club, along with key players Oliveira, Octávio Machado and Fernando Gomes. Their return in 1982 heralded the beginning of an unparalleled run of success for the club, but that’s a story for another post. We’re more concerned with what happened to Pedroto during his debut season in exile, at Guimarães. Then, as now, Guimarães were one of the best-supported and most successful clubs outside of Lisbon and Porto. With Vítor Damas in goal and Pedroto on the bench alongside a youthful Artur Jorge, they were a daunting prospect for Sacavenense; who then, as now, were a largely unheralded outfit from the Lisbon area. Their golden age came in the late 1970’s and early 1980’s, when they lifted the III Divisão title, and established themselves (albeit briefly) as a mid-table outfit in the II Divisão Sul. Sacavenense slipped back to the fourth tier in 1984, but not before dumping Pedroto’s Guimarães out of the Taça at the Afonso Henriques in 1980. Pedroto, who clearly knew a good thing when he saw it, signed all-action central midfielder António Carraça for the following campaign. Carraça spent two seasons in Guimarães, before moving on to Belenenses, Farense, and Vitória de Setúbal. He recently rejoined the technical staff at Benfica, his second spell at the club. Pedroto succumbed to cancer in 1985, but his achievements in the late 1970’s still resonate throughout Portuguese football. As the most successful team in the history of the Taça, there are few black marks against Benfica when one pores through past results. But Gondomar seared one into the already-fragile psyche of Jesualdo Ferreira’s squad on November 24th 2002. Almost nine years on, the Eagles are in rude health under Jorge Jesus; having matched Manchester United blow for blow at the Estádio da Luz, and snatched a vital point in the recent Clássico. All of that makes it easier to forget what a wretched state the club was in during the early years of this decade. Jesualdo was already a coach under pressure heading into the tie. Though the new century was barely three years old, he was already the fourth man in charge of Benfica since 2000, and a run of four wins from the season’s first four matches had long since been forgotten. Defeat at Nacional, a draw at home to Setúbal, a loss at Porto and another draw at home to Académica followed, and by late November, the Eagles were seven points off the pace. Their problem (or at least one of them) was consistency: round ten yielded a 7-0 home win against Paços, but the next weekend saw a listless display at Varzim, who prevailed 2-1. This was a squad of individual talents (Miguel, Simão, Mantorras) but with little in the way of cohesion. Despite this, victory against Gondomar, who travelled south as a mid-table side in the II Divisão B Zona Norte, was a given. The absence of Simão was a boost to Jorge Regadas and co., but with the likes of Petit, Roger and Nuno Gomes present and correct, few anticipated what was to come. Benfica won a corner in the opening moments, but appeared sluggish thereafter. They, and the sparsely-populated Luz, were stunned into wakefulness in the eleventh minute. Gondomar won a free kick, around twenty-five yards out and parallel with the left edge of the penalty box. Anyone who has spent time watching lower league Portuguese football will attest that the vast majority of these opportunities are sent into the car park (no Row Z’s at the Estádio São Miguel), but this time was different. Cílio, a much-travelled Brazilian striker last seen at Nanjing in China, stepped up and launched a fierce bomba beyond the despairing dive of Nuno Santos. After surviving the inevitable siege, Gondomar began the second half with renewed purpose, with Cílio finding the side-netting. Benfica continued to press: the late Miklos Fehér hit the post with a header, Mendão cleared a Nuno Gomes effort off the line, and Nuno Claro batted away a fierce strike from Mantorras, but the northerners (who were reduced to ten men in the final moments) held on for a famous victory. After his departure from Benfica, Jesualdo spent the winter licking his wounds, before pitching up at Braga with Os Arsenalistas in the midst of a relegation dogfight. 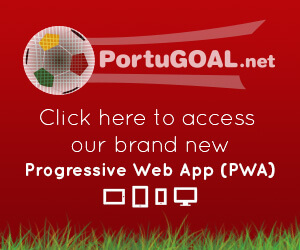 Replacing António Conceição, Jesualdo’s first assignment was a home meeting with Benfica, who cruised to a 3-1 victory. Braga picked up just six points from their last fifteen in 2002/03, but survived thanks to the (non)performances of others. Jesualdo set about rehabilitating both the club and his reputation, securing 5th, 4th and 4th-placed finishes over the next three seasons. Then, Porto came calling. The Dragons were still coming to terms with the dismantling of the 2004 Champions League-winning structure. 2004/05 had been a rare silverware-free season, and though Co Adriaanse secured a domestic double in 2005/06, the Dutchman’s resignation a fortnight before the opening match of 2006/07 against Leiria left Pinto da Costa scrambling once more. Ferreira’s arrival at the Dragão was not without controversy. Following the expiration of his Braga contract in May, he joined Porto’s second team, Boavista. After overseeing preparations for the new season, he suddenly tendered his resignation on August 15th, and was presented as Porto’s new coach on the 21st, the day after the Dragons had defeated Setúbal in the Supertaça. His debut campaign at the club was almost perfect. Despite inheriting a squad that was used to playing with a three-man defence, Jesualdo swiftly restored the 4-3-3 formation that has become synonymous with Porto’s modern era, with his men clinching the title on the final day with a 4-1 win at home to Aves. It was a joyous moment for the man who had been shown the door by Porto’s eternal rivals four years previously. But it was not a painless triumph. 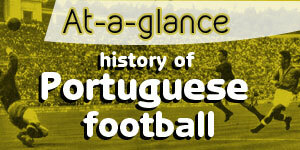 Currently sitting atop the Liga Orangina, Atlético Clube de Portugal are one of the country’s most historic sides. Runners-up in the 1945/46 and 1948/49 editions of the Taça, and regular challengers for the national championship during the same decade, they had, like many other names from that era, fallen on hard times as the years passed. Although they are currently experiencing something of a renaissance in the second tier, in 2006 Atlético evoked little beyond a nod in remembrance from a generation that was dwindling in numbers. Just as against Gondomar, Jesualdo named a somewhat unfamiliar XI. Vítor Baia, Paulo Assunção, Raúl Meireles and Ricardo Quaresma started; but Bosingwa, Pepe, Bruno Alves, Lucho González and Lisandro López were all absent. Atlético, coached by the man who led them to promotion in 2010/11, António Pereira, were a nondescript assemblage of lower-league journeymen; including one Gonçalo, who went on to turn out for the now-defunct Sport London e Benfica later in his career. The home side dominated the first hour, with only a combination of Atlético goalkeeper Marco and some wasteful finishing (João Paulo, Bruno Morães and Hélder Postiga were the main offenders) keeping the scores level. Twice the bar was rattled, twice Atlético survived. Then, in the fifty-ninth minute, they struck. Ibson was caught dallying in possession, and the ball made its way to David da Costa, who bundled home from close range, surrounded by flailing Porto defenders. Morães won a penalty as full time approached, but Quaresma’s scuffed effort struck the post, and the ball skittered away from danger. Although his achievements at Porto cannot be contested, Jesualdo’s painful relationship with the Taça de Portugal is one quirk of a coaching career which has rarely been anything less than fine entertainment. For Atlético, and the Taça itself, it was another historic moment. By Ben Shave (Twitter: @benshave). Originally published in 2011. Great article Mr. Shave. You must be rather "mature" though. How can you recall the Boavista-Academica offensive onslaught so clearly? Did they even know what a goalkeeper was in those days?